AllClear ID’s client, CookiesKids.com, is an online kids department store and school uniform provider which also sells children’s toys. To make this value proposition even more compelling AllClear ID asked us to optimize and test its presence (seal and security elements) on CookiesKids.com to see if AllClear ID could increase the site’s eCommerce conversion rate more than the standard implementation AllClear ID already used (which placed its trust seal and elements on the Cart & Checkout pages where it was active). Placement: We knew that in order to be an effective trust seal, it needed to be associated with other positive and well recognized trust symbols, so the first task was to place it on equal footing with better known and branded trust symbols like Norton & McAfee on all site footer pages (disclosure: Inflow is the website optimization partner for the testing of both Symantec and McAfee seals), in a position the 3 badges would be better noticed together. Next, lesser known and trusted badges were removed from the site to bring more attention to AllClear ID. Context: Inflow’s CRO team recognized that user’s may not have understood WHAT AllClear ID’s Guarantee Seal was or meant, so it gave it context with a subtle text title that was tested with several copy variations. While our test had three variations, the only difference between them was the copy that sat above the seal providing context as to what the seal was and what benefit it had to the end customer. In the end, the most powerful and meaningful copy from the user’s perspective won (“Your Identity is Protected”). The biggest gain in sales was seen from the Organic Search segment which often arrives with a lack of trust due to the position of the search results (position one-three typically have the most trust). It is common to see Organic Search has the most significant response to well-optimized trust factors as they are addressing the very thing a lot of Organic traffic lacks most when arriving on a site they don’t know, trust. 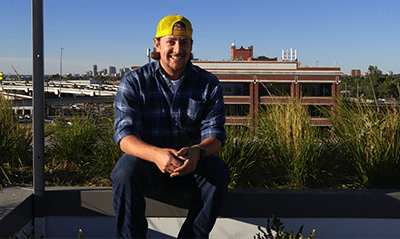 Shaun Elley graduated from the University of Colorado Boulder in 2012 with a Bachelor of Science degree in business with an emphasis in marketing. After graduating, he worked in-house at a local business as a digital marketing specialist before joining Inflow on the agency side.